Over two decades ago while Pink Floyd’s “Delicate Sound of Thunder” concert played on TV, I shared with Mom my serious interest in pursuing a live concert sound career. It didn’t materialize, but when certain songs come up on my playlist today I still imagine crafting an aural experience for thousands of fans. Music and live performance became part of who I am, so from time-to-time I’ll share the songs from and thoughts behind my “dream engineer” playlist. For an engineer, there’s nothing better than an artist who challenges you to capture the breadth of energy and depth of feelings during a performance. Sia’s recording of “Chandelier” has a quality that I can only describe as gigantic — gigantic in sound, gigantic is energy, and gigantic in emotion — with a counterpoint of transparency that is somehow delicate and authentic. 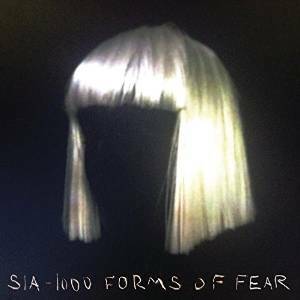 If I were engineering Sia, the autopilot would be switched off as I would be compelled to make her sound huge to inspire fans, but delicate to reflect her artistry and musicianship. Since my friend Laura was a Vixen fan and learned all the guitar and bass parts to “Edge of a Broken Heart,” I decided to use that song for my music video adventure. Laura had the guitar and bass parts covered, but I needed the rest of the “band” for the video. I roped in my roommate and keyboard player, Tracy, to fake-play his Yamaha DX7 and Lori, the lead singer of a New Orleans cover band, to lip sync the vocals; and borrowed some Ultimate mic stands, Beyer-Dynamic M88 mics, and EAW floor wedges from my live sound company employer to use as props. Lori, in particular, was used to a specific stand/mic combination, so I recreated that for her to make the performance more “real” (inside of a TV news studio). I wore an IFB headset over one ear as a comm channel to communicate with the crew and kept my other ear open to listen to the soundtrack. The reason for doing that was simple, I needed to anticipate and call out the shots at the right moment based on the program audio; the comm wouldn’t provide that. The crew in the studio cranked the program audio so Laura, Lori and Tracy could sync to the song. The program audio from the studio bled a bit into the comms, which was a little disconcerting but not a big deal. It was the same song after all. Rehearsal went well so we dove into the live recording. When the song started, I was surprised to hear a slightly different soundtrack over comms. Lori was no longer lip syncing — she was singing the song for real. By the second verse, she wasn’t singing to sync anymore; she started pouring her musical soul into the performance and interpreted the song her way at full volume. Even though the mics were only props, Lori’s voice filled the studio without reinforcement. In fact, the comms picked up her performance, which drowned out the program audio in my other ear. It suddenly became gigantic and deeply Lori. It threw me as I was suddenly listening to two different songs and paying attention to a live performance rather than directing a lip sync video. What had just happened? Lori Frazier went on to be a runner-up on “Star Search” in 1992. When I listen to “Chandelier,” I hear Sia and I hear Lori, and they become bigger to me than any one song. An intangible quality surfaces and transforms their performances from mere singing to much more — gigantic, vulnerable and incredibly difficult to engineer live. Capturing the nuances of a performance like “Chandelier” and experiencing the reaction from Sia and crowd would be very special. That is why Sia’s “Chandelier” is on my playlist as a live performance to dream engineer.